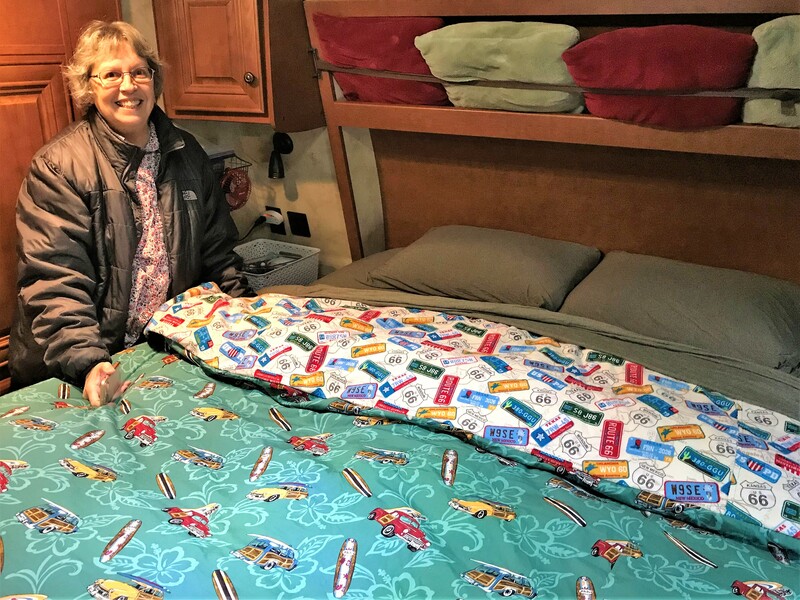 Friday, January 4, 2019: It’s early (0406 to be exact) on a frosty morning and we are off on another winter RV adventure to parts yet unknown. Yes, this is about 5 weeks later than Kit and I have historically departed, and we were deferred even further due to a small snowstorm that grazed the Maine coast. 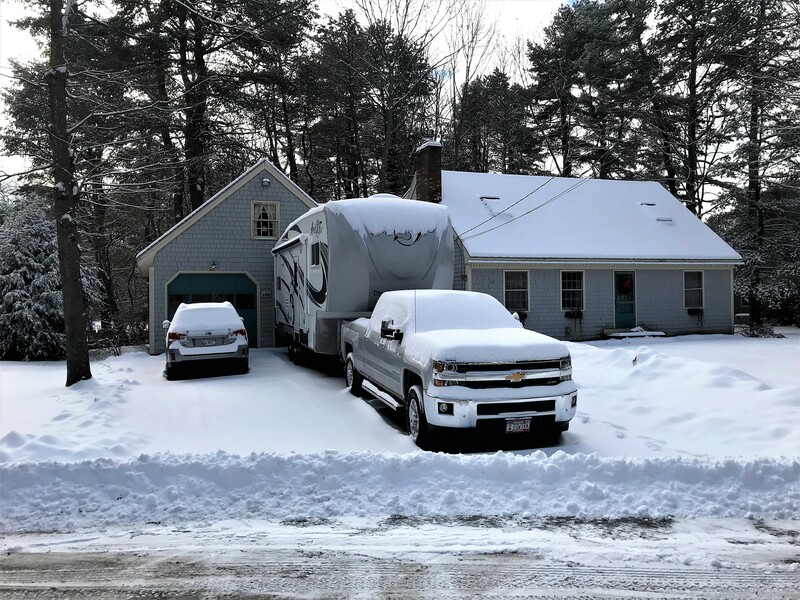 Fortunately, we were only delayed 24 hours, and the light fluffy snow that clung to the camper’s roof was systematically deposited along the roadsides of our sleepy little town on our way to Interstate 295. 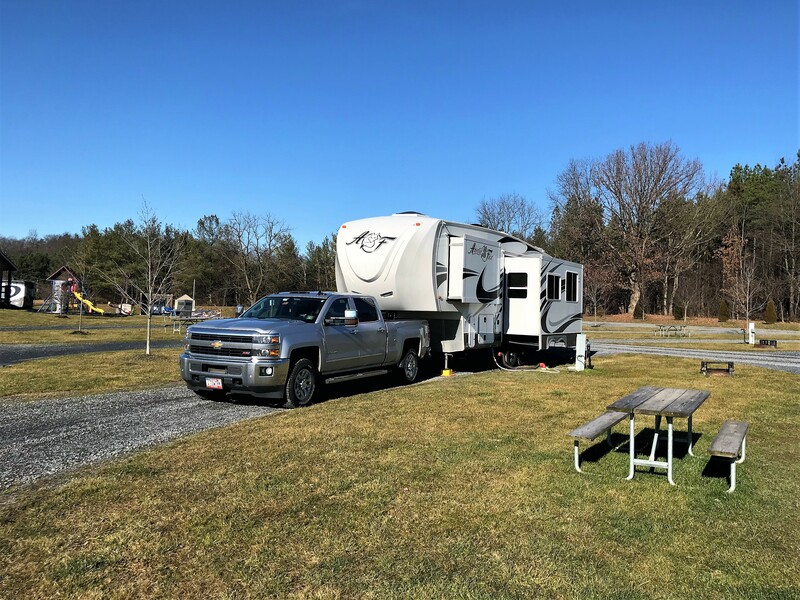 After a quick safety stop at the Kittery Rest Area to verify that the wheels were still on the rig, we continued to motor south through New Hampshire and on into Charlton, Massachusetts where we took a break for breakfast and fuel. Back underway at 0835 I noticed a truck milestone event when the odometer rolled over to 60,000 miles! Not too bad for a 2015 vintage truck, until one factors in the fact that most of that mileage comes in six-month increments. Twenty-five minutes later we entered the State of Connecticut, and another hour and a half found us crossing the Hudson River at Newburgh, New York. 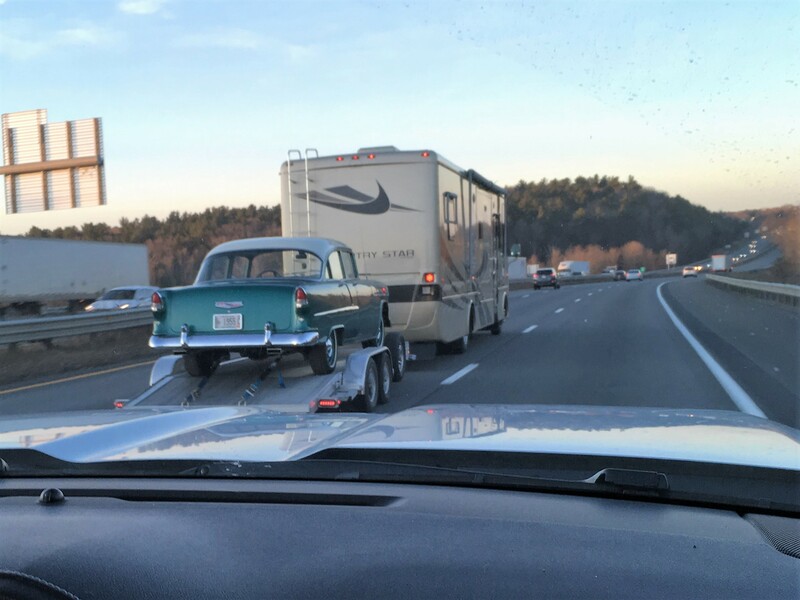 Little RV traffic this time of the year, but we did encounter this fellow snowbird who was hauling a modified 1955 Chevy. If your going to tow your daily driver to a southern wintering over spot, it might as well be a classic car. Speaking of classics, shortly before departing Maine, Kit finished up a cover for our down comforter. One side has road signs, and the other woodies and surfboards…three of our four favorite things! By noon we encountered the State of Pennsylvania and began discussing where to lay over for tonight. Typically, on the first night out and with the camper winterized, we opt for a nice motel…however the temps are mild by Northeast standards and it is predicted to stay above freezing tonight, so we called ahead to secure a spot at The Western Village RV Park in Carlisle, PA.
After a quick stop at the local Wal-Mart for some groceries, we pulled into the park at 1700 hours logging a whopping 599 miles for the day! Which is twice the daily road mileage we try to adhere to, but typical for the first day out…gotta get south to warmer weather as soon as possible you know?! …then draining and flushing the freshwater system. After a glass of vino followed by a nice warm meal it was off to an early slumber…good night! Saturday, January 5, 2019: Up relatively early following a very restful sleep. 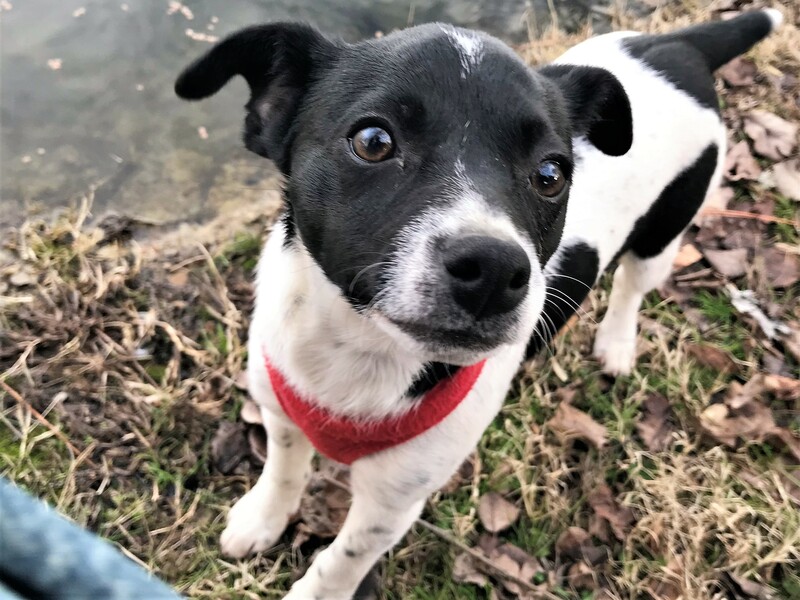 Kit and I enjoyed a nice leisurely breakfast and lounged around a bit before breaking camp and hitting the road at 1130 hours where we continued to follow Interstate 81 southerly. 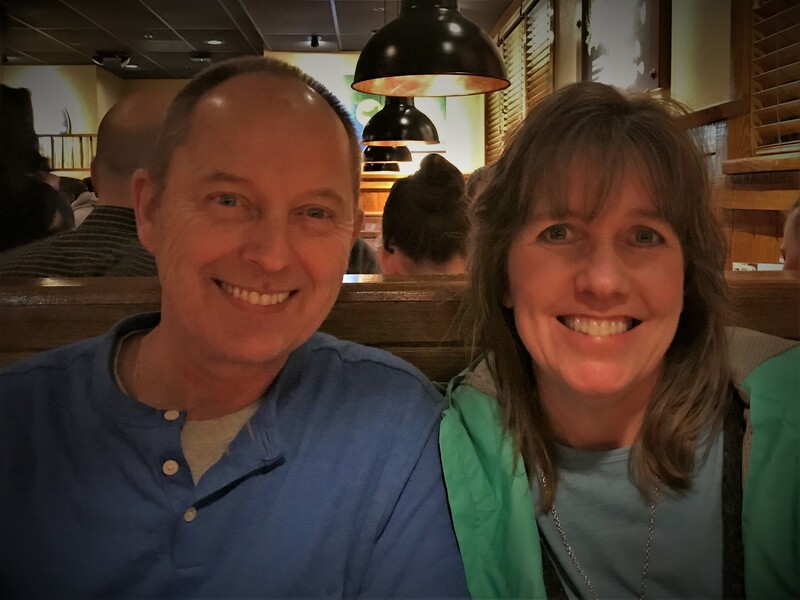 There are many people Kit and I have introduced through these journals and enjoy spending time with during our trips…one special couple is our high school friend Joanne and her husband Ron. Sadly, Ron passed away a few weeks ago following a relatively minor surgical procedure. 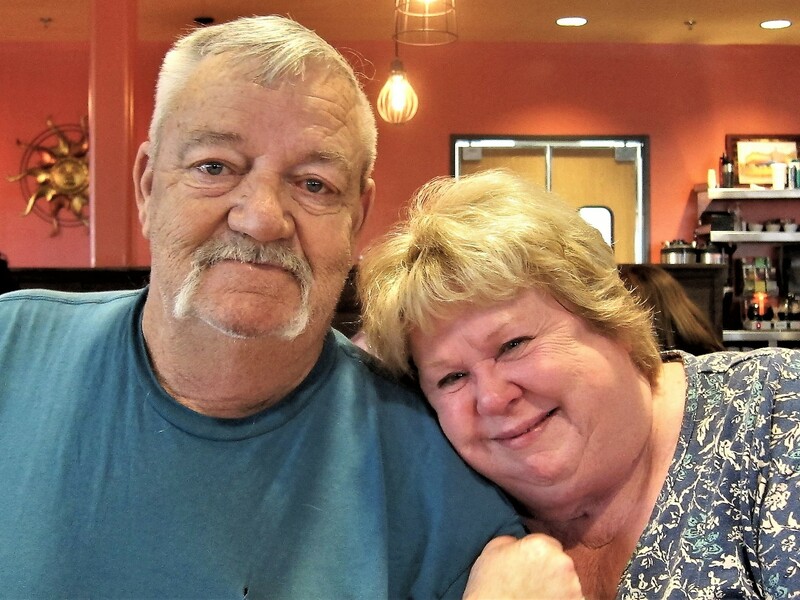 A retired long-haul truck driver, and a physically imposing individual, Ron was the proverbial gentle giant, treating his friends with courtesy and lovingly taking care of Joanne as she was battling her own health issues. Rest in Peace buddy…you will be missed by more folks than you ever imagined. Day two is also historically a travel day, and this year followed suit. So, we didn’t take time for any sightseeing or tourist stops…still a bit raw in these parts to spend too much outside. 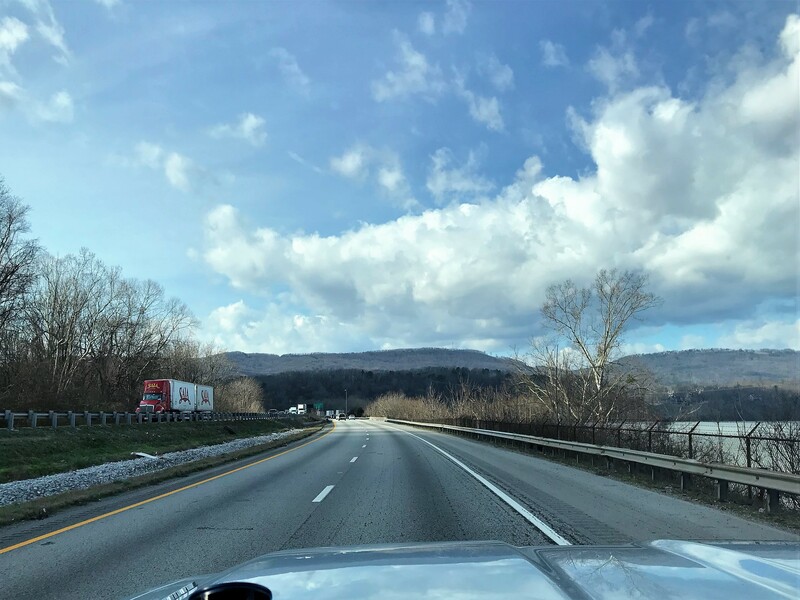 By 1233 we rolled into the State of Maryland, then 13 minutes later crossed the Potomac River into West Virginia and by 1336 hours were in the State of Virginia. 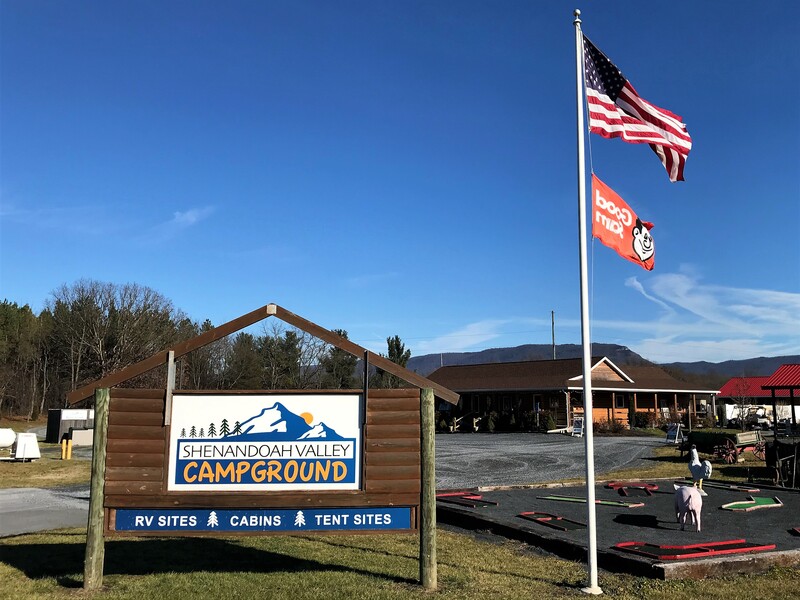 By 1600 Kit started to look for a viable spot to camp and discovered the Shenandoah Valley RV Park in Mount Jackson, Virginia. Where the fees were reasonable, the grounds tidy, the facilities clean and the sites spacious. Following some walking around time and a nice meal, it was once again time to retire early for our two weary travelers. This is a good spot to highlight our family in pictures as we’ve done most winter trips over the past ten years. Fortunately, all is well in Tuckerland and everyone is thriving. 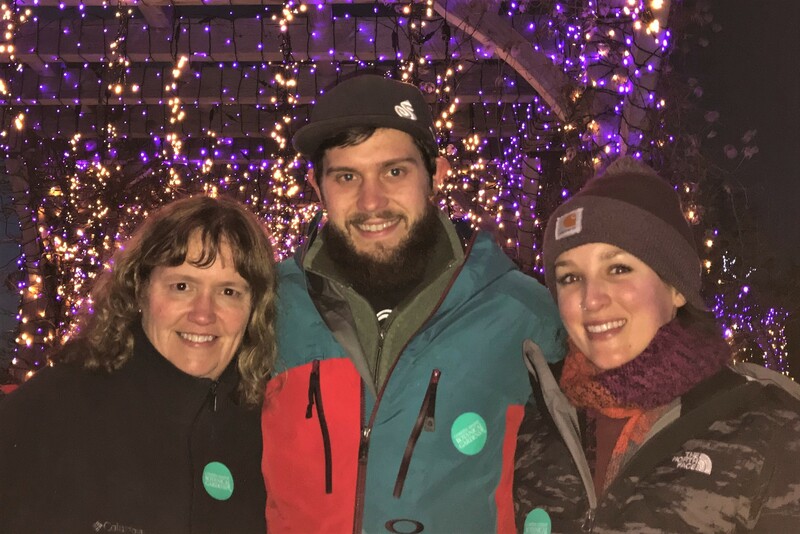 Daughter Kim, son Joe, and his girlfriend Whitney are all working in Maine and taking care of overseeing our home while we are away. Son Joe and daughter-in-law Ann still live about an hour away and are doing well. 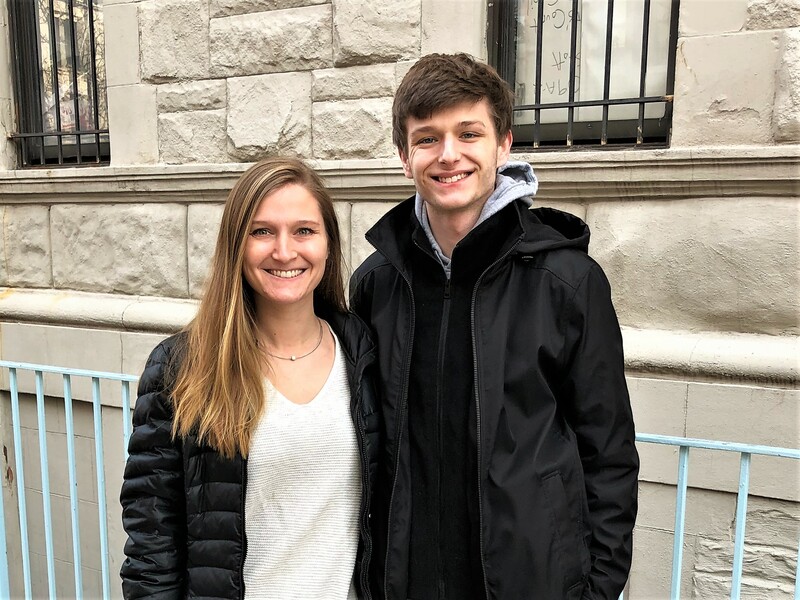 Their offspring are developing into fine young adults…Katie is working in the world of high finance in New York City and Chris is a first-year student at a university in Rhode Island. 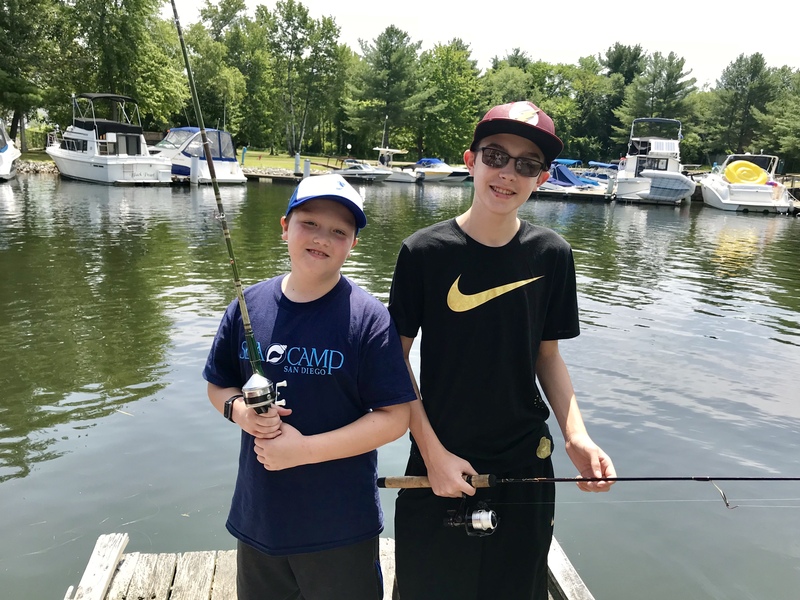 …and their children Jack and Tucker are doing well and spend a few weeks with us in Maine each summer. 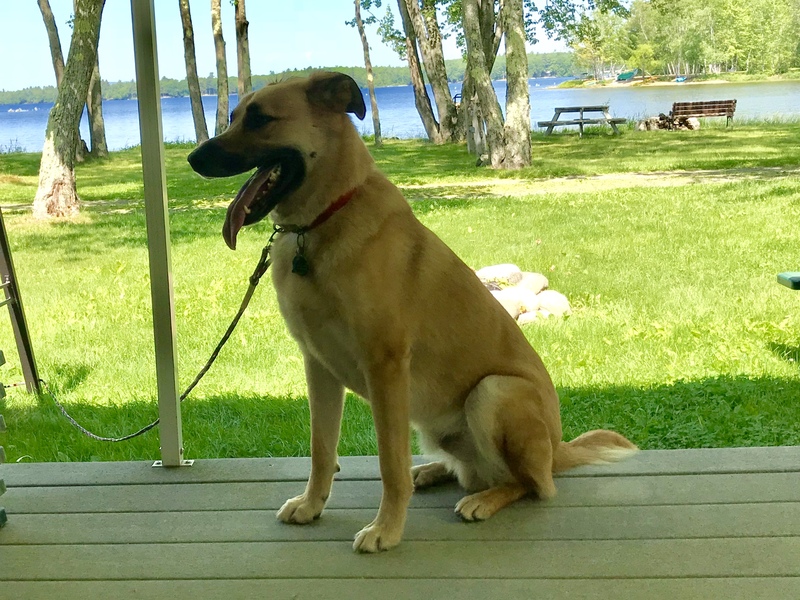 Then there is our great grand dog, Finny who we miss terribly…along with the rest of the family of course. We really enjoy having The Finster in our lives. Kit and I are very proud of our family and enjoy watching as they successfully navigate through life! 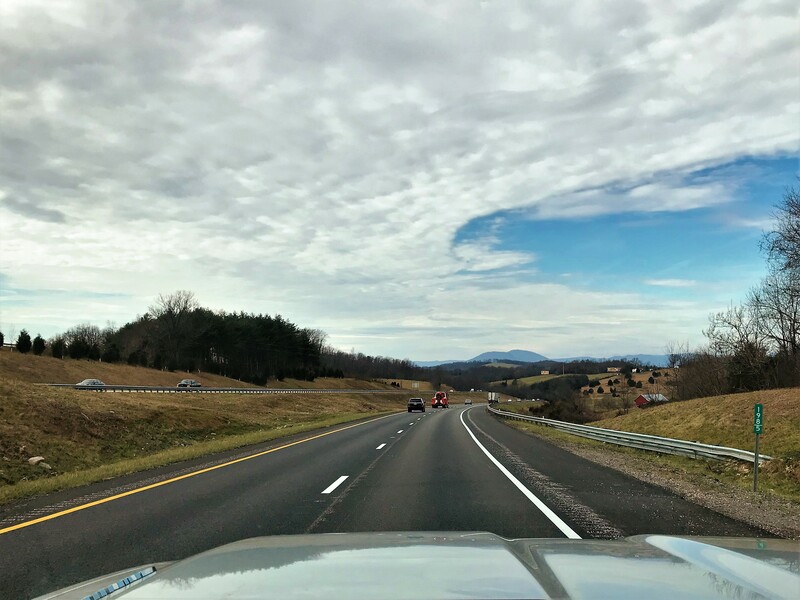 Monday, January 7, 2019: Hit the road at 0952 and found our way to I-81 to continue south. Kit is a great traveling companion and frequently helps in navigation chores and does 90% of the campsite research and selection. 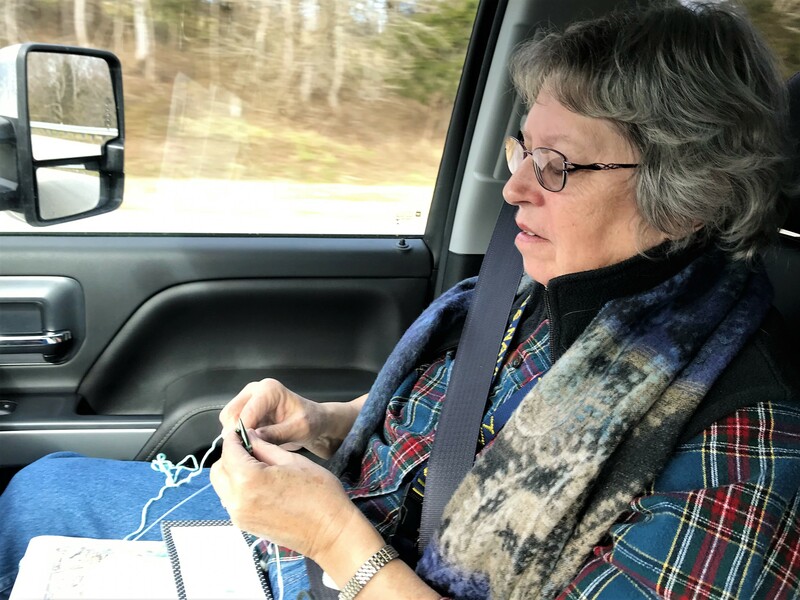 And I’m not a very good passenger, so I do most of the driving, which is fine with Kit as she can get some reading or knitting or napping accomplished during the long travel days. At 1500 we crossed into Tennessee and an hour later Kit found us another wonderful campground to spend the evening. A rustic mom and pop place built, owned, and managed by a backwoods character named Hal. 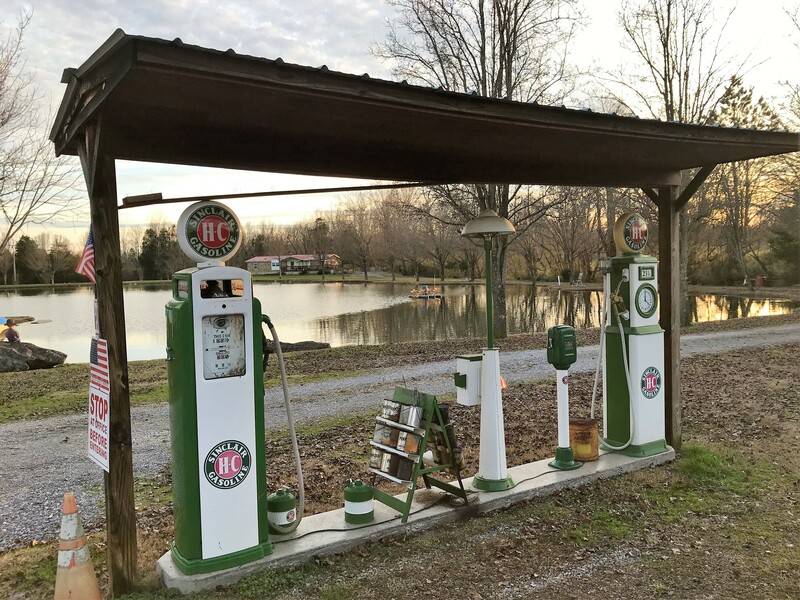 The sight of old gas pumps and other petroliana elicited a conversation about old cars and truck. 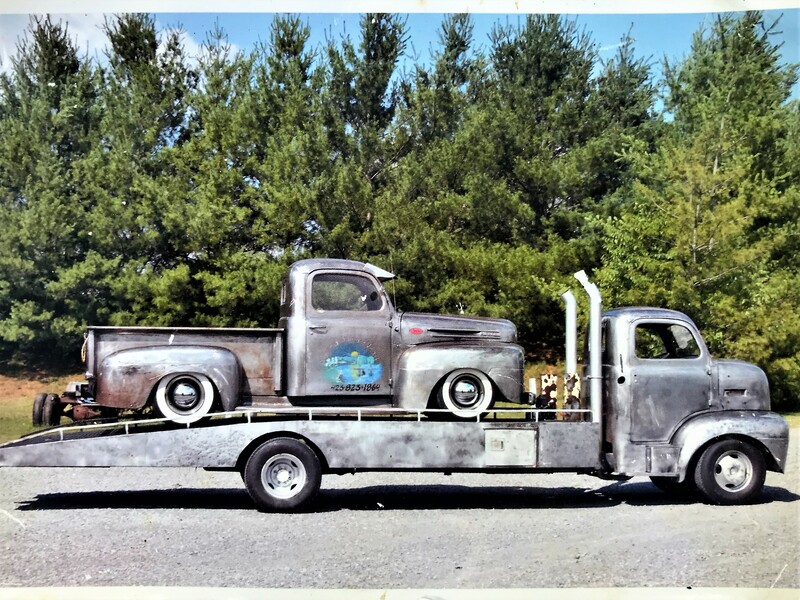 Hal had just finished a COE flatbed built to haul his vintage pickup. The pickup features a 383 stroked Chevrolet motor and 4:11 gears making for a stout combination to run shine along the back roads of Tennessee. He is now in the market for his next project…busy man! Hal started constructing the campground twenty years ago and has done most of the work himself …and, it’s still not finished! The grounds are laid out very nice and feature hand-built structures featuring many country artifacts from his lifelong hobby of picking. Hal keeps his campsite prices very reasonable by doing most of the daily chores himself. 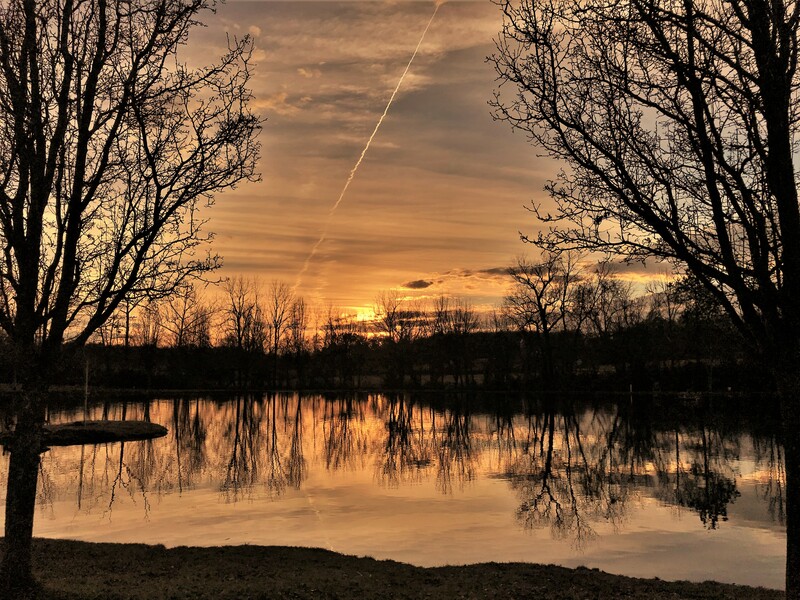 Having plenty of land, he took it upon himself to take his tractor and carve out a two-acre fish pond. Then stocked it with catfish and added some waterfowl to the project. 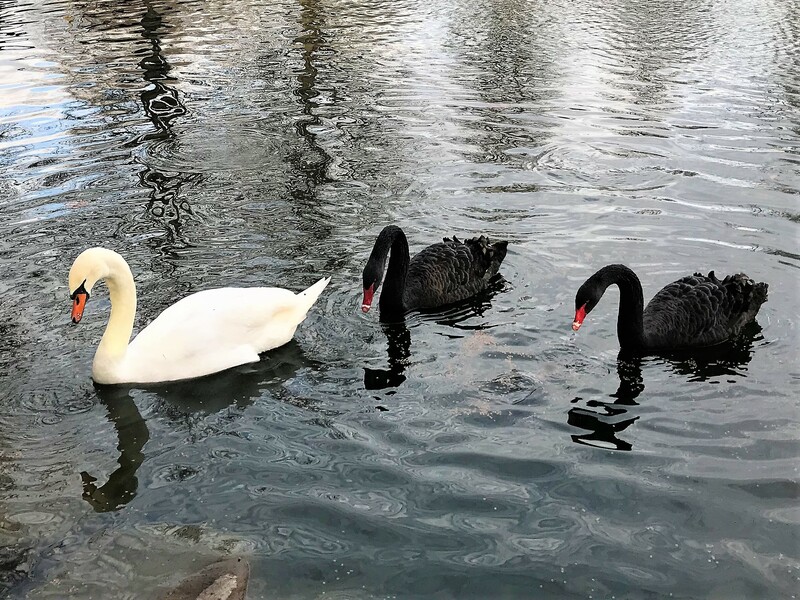 Hal purchased a white swan and two black swans which he feeds daily with the assistance of his puppy Pepper. Of course, the feeding is also enjoyed by the catfish as well as various migratory birds. Kit and I agree this would be another campground to spend some downtime, however coming on the heels of yesterday’s layover, we decided to continue on in the morning. As evening fell, we enjoyed some wine, a nice dinner and a beautiful Tennessee sunset. 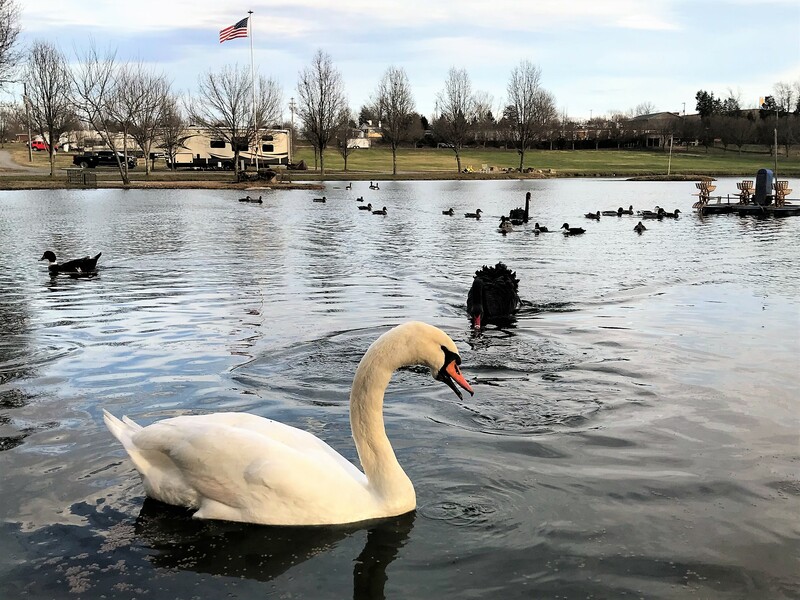 Tuesday, January 8, 2019: Another travel day and we were up and on the road before 1100. Within the hour we jumped on Interstate 40 and then intersected Interstate 75 to continue south. Around noon we crossed the Tennessee River and stopped at a Flying J Truck Stop for fuel and lunch. Shortly after resuming our trek found us near Chattanooga where we shifted to Interstate 24 South. Soon we were in Georgia, then back in Tennessee…this interstate winds a bit across the two state lines at this point of its travel. Crossing the Tennessee River once again, we encountered State Road 72 South which we cruised into Alabama and encountered the Central Time Zone. 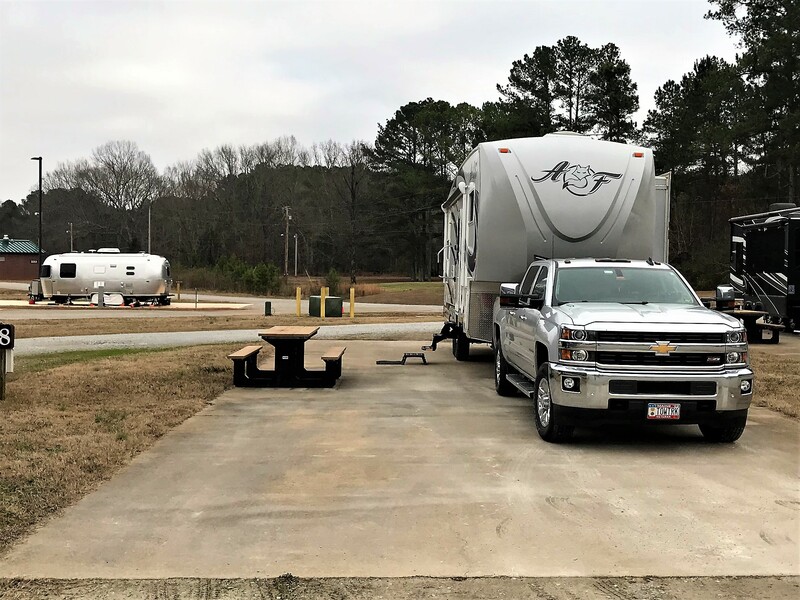 At 1600 hours we pulled into the US Army’s Redstone Arsenal just south of the city of Huntsville and set up for a few days stay in their very nice military RV Park. Kit and I have driven through Huntsville during previous Excellent Adventure trips and vowed to one day stop and explore the area…this is the day! 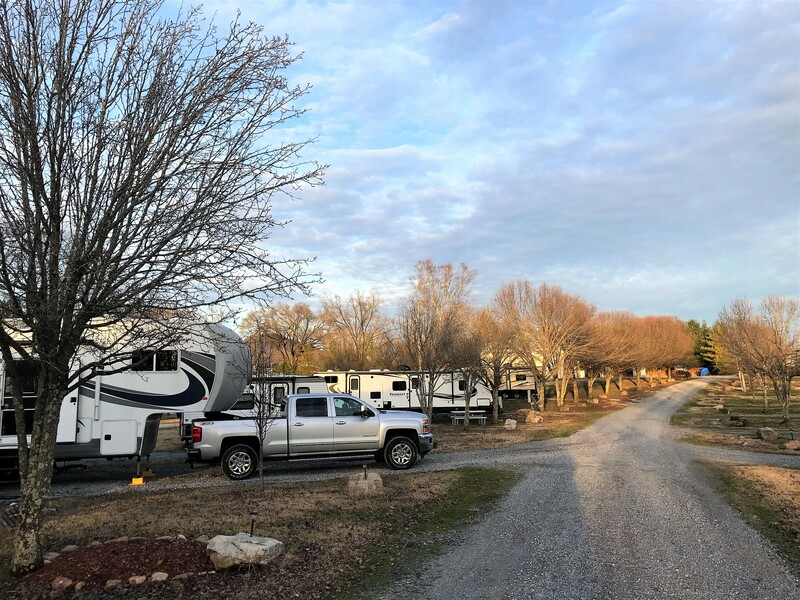 Wednesday, January 9 through Sunday January 13, 2019-Huntsville, Alabama: Spent time here doing some shopping, clothes washing, fixing a bent clip-pin on the camper, washing the rig, repairing a leaking dump hose, and driving about the base and city. 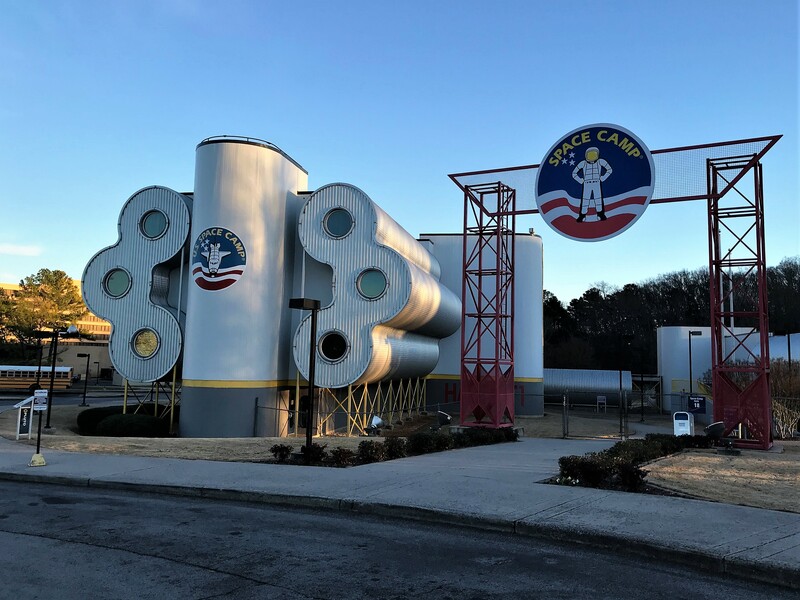 One attraction that we (I) wanted to spend time at is the US Space and Rocket Center. The museum is owned and operated by the State of Alabama with support from NASA and The Smithsonian. 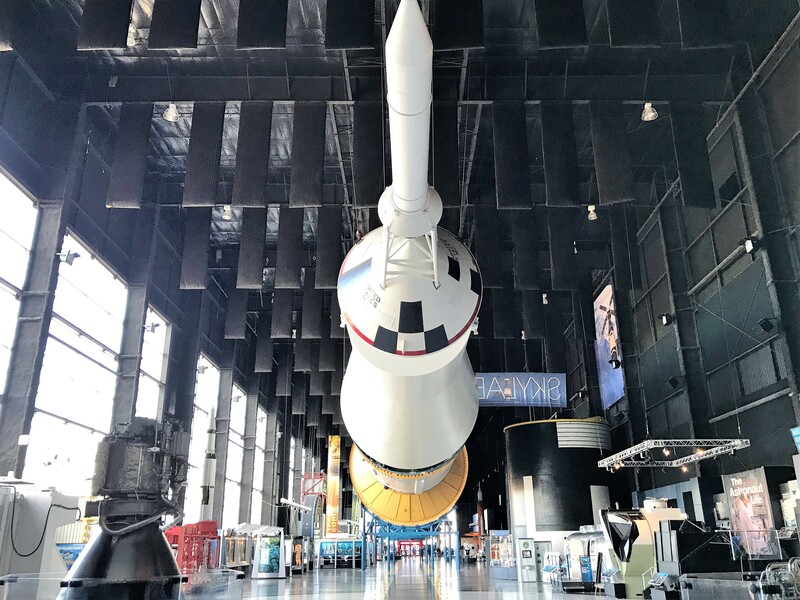 It claims to have the largest collection of space and rocketry artifacts in the country and, in addition to various exhibit halls, has a huge building housing an entire 363 foot long by 33 foot diameter Saturn V Rocket. 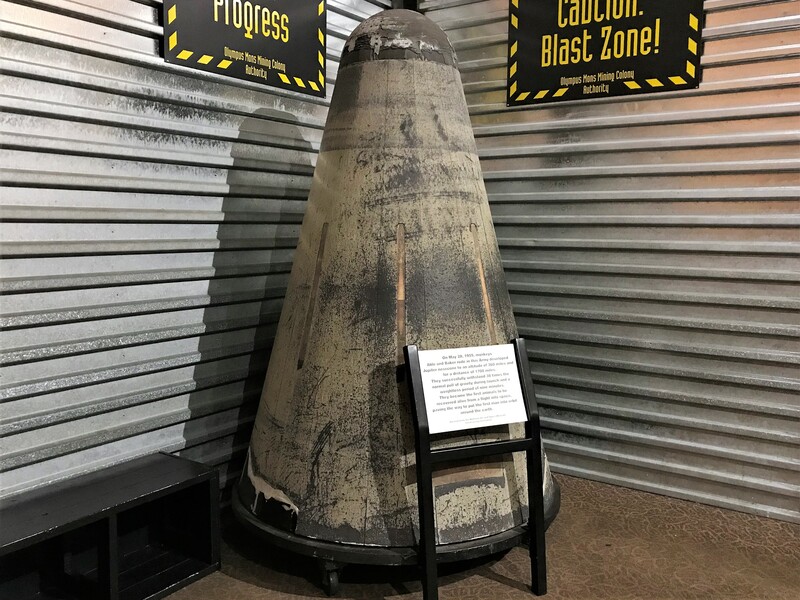 This three-stage rocket was developed for Americas moon landing missions and the first stage hosts five gigantic Rocketdyne F-1motors. 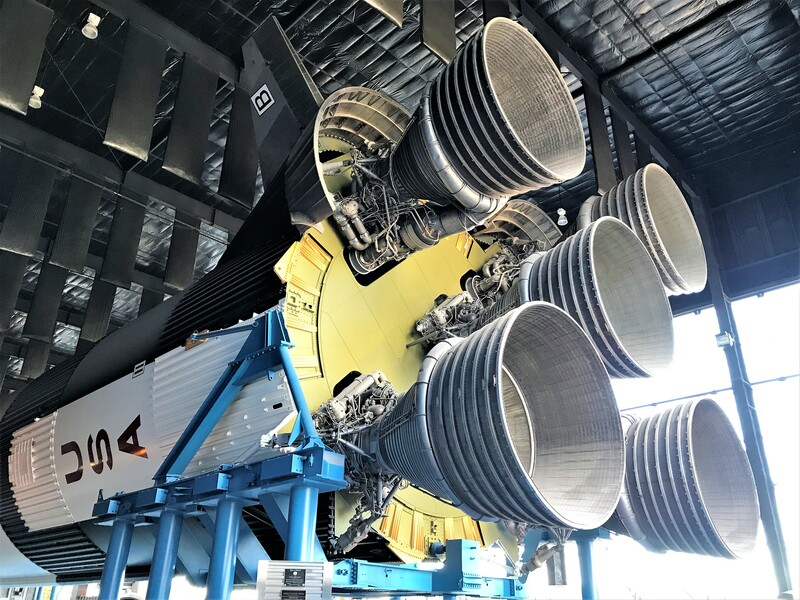 The motors develop 7,891,000 pounds of thrust in order to lift the 6,500,000 pound rocket off the launchpad and rocket (no pun intended) the Saturn V to a height of 42 miles at a speed of 6,164 MPH…all in under 3 minutes! Then the first stage separates and turns over the duties of flight to the second stage, followed by the third stage which boosts the mission payload into space. 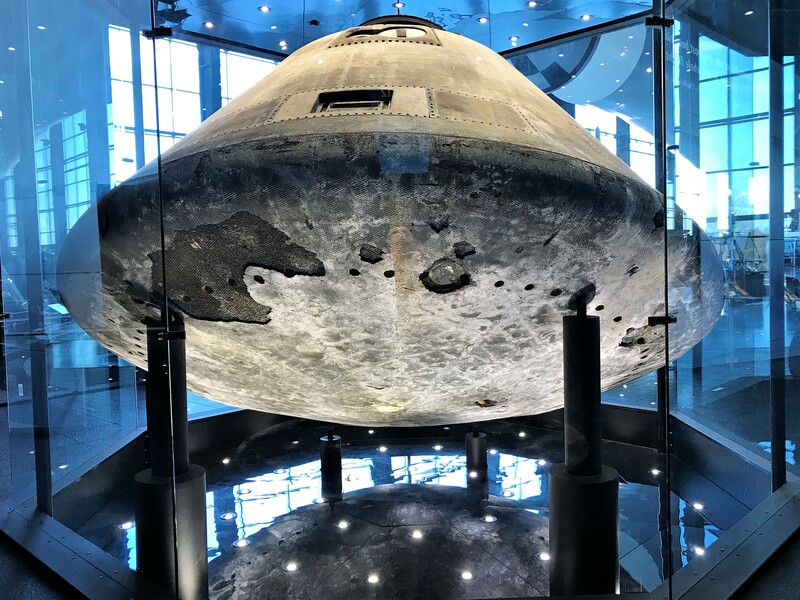 In addition to many other artifacts and informative displays housed in this massive building are a Lunar Rover and the actual Apollo 16 Command Module. …to a parachute assisted landing in the ocean, where the US Navy was ready to retrieve the module. 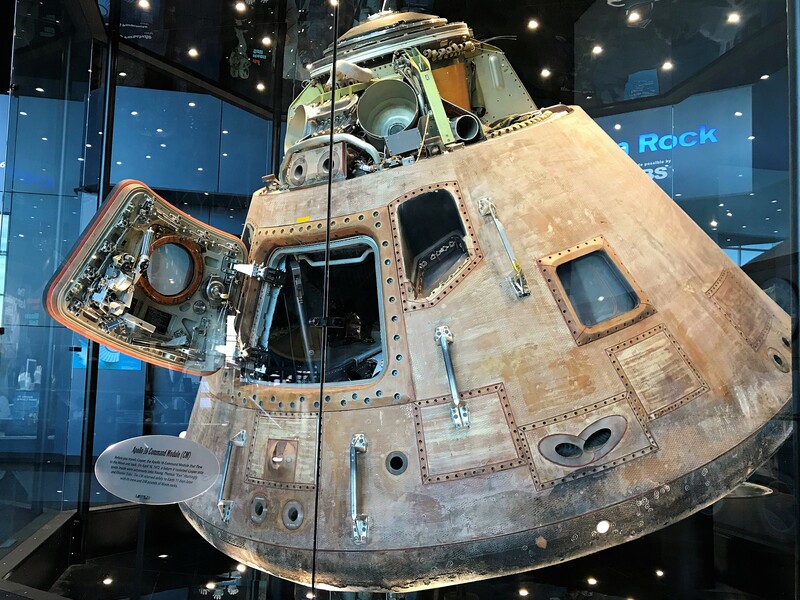 Kit and I vividly remember the first successful manned moon mission in July of 1969 and now to see many of the components that made that possible was a real treat! Another treat was in meeting and spending some time talking to an authentic rocket scientist. Gray (yep, that’s his real name) spent 43 years working at the nearby Marshal Space Flight Center and spent considerable time working on various Nasa projects including the Apollo Missions. 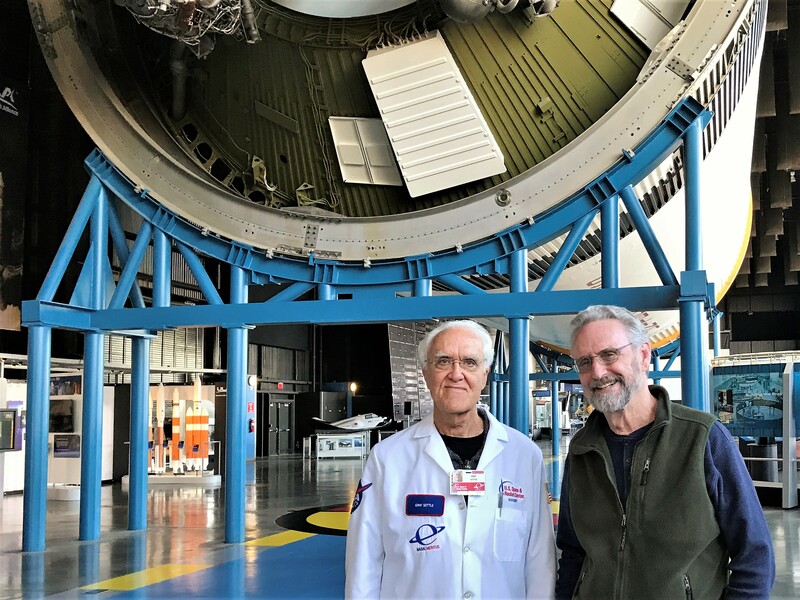 Now retired, Gray volunteers a few days a week at the Space and Rocket center to help visitors understand the complexities of the equipment that successfully delivered man to the surface of the moon…and, more importantly successfully ensured their safe return to mother earth. Another display of interest was one of four Mobile Quarantine Units. 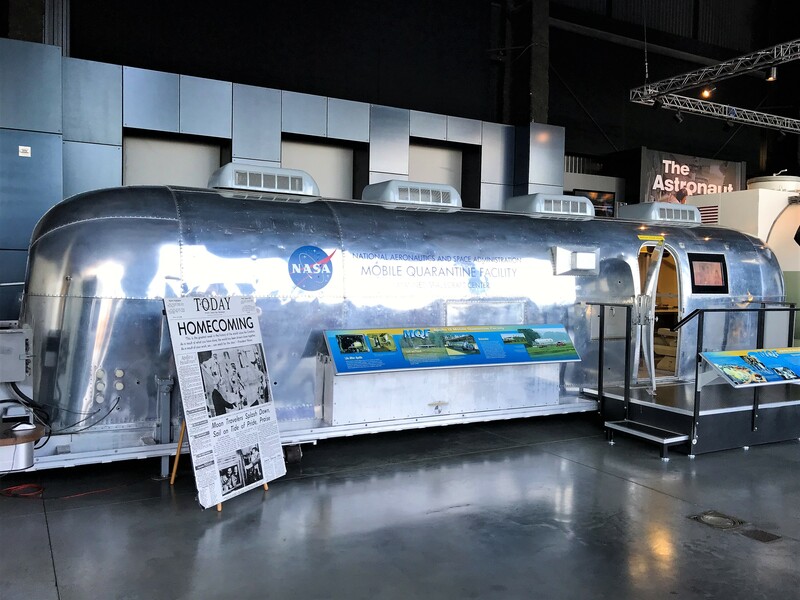 Basically, a highly modified Airstream travel trailer, these units were placed on the recovery Aircraft Carrier to quarantine the astronauts until it was deemed safe for them to mingle with the earth bound public. Also, on display was the nose cone that carried the first two living American creatures to the upper atmosphere during a 1,600 mile flight. 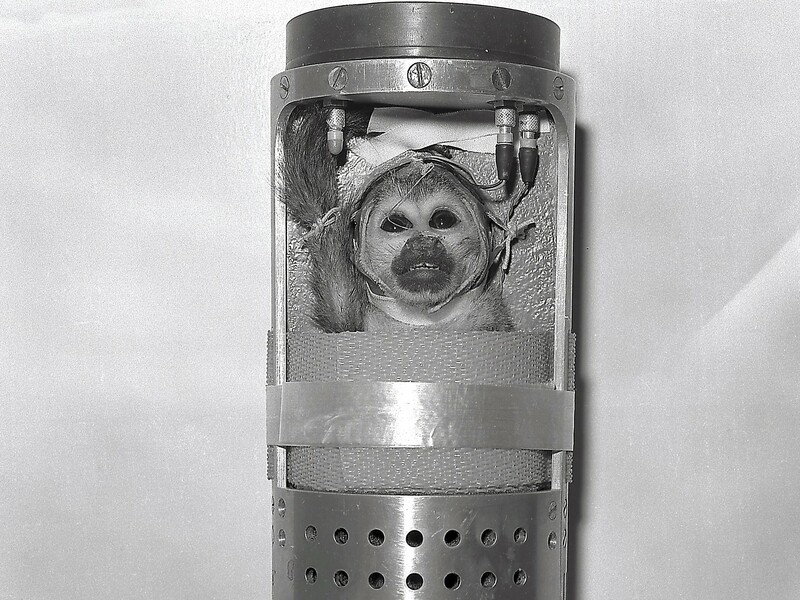 In May of 1959, a pair of monkeys named Able and Baker (yea, I know…creative, huh?) launched atop a Jupiter Rocket sustaining 38 G’s of force and nine minutes of weightlessness, before they were successfully returned to earth. Able died a few months later but Baker was cared for in a special enclosure here at the Space Center delighting the visiting public with her antics until succumbing of old age at 27. NASA engineers were very bright, and a bit playful as well…one engineer took it upon himself to design and prototype a water powered Space Toy. 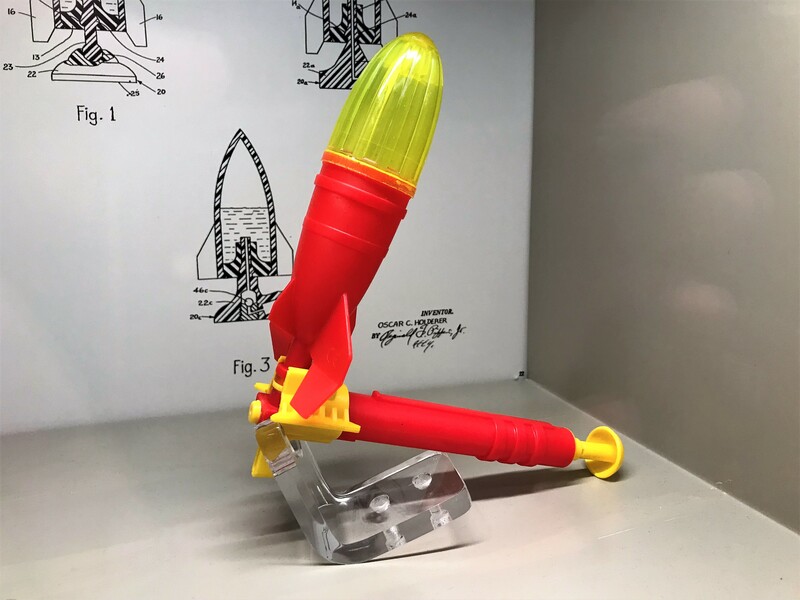 Oscar D. Holderer built this toy to encourage rocketry in a younger generation. I recall playing with a similar toy as a youngster! Also, on the grounds is the US Space Camp. 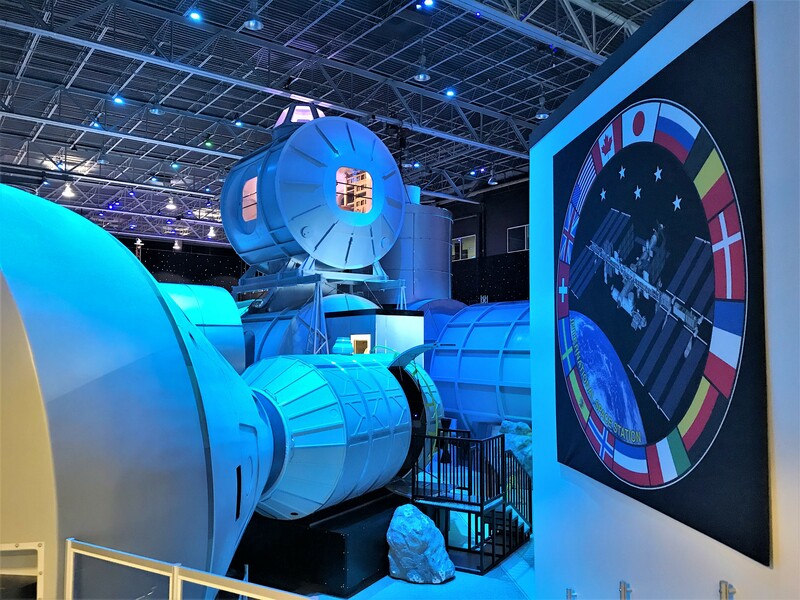 Where youngsters and adults can learn about careers in the space program and utilize many of the museums trainers to practice their new-found skills. 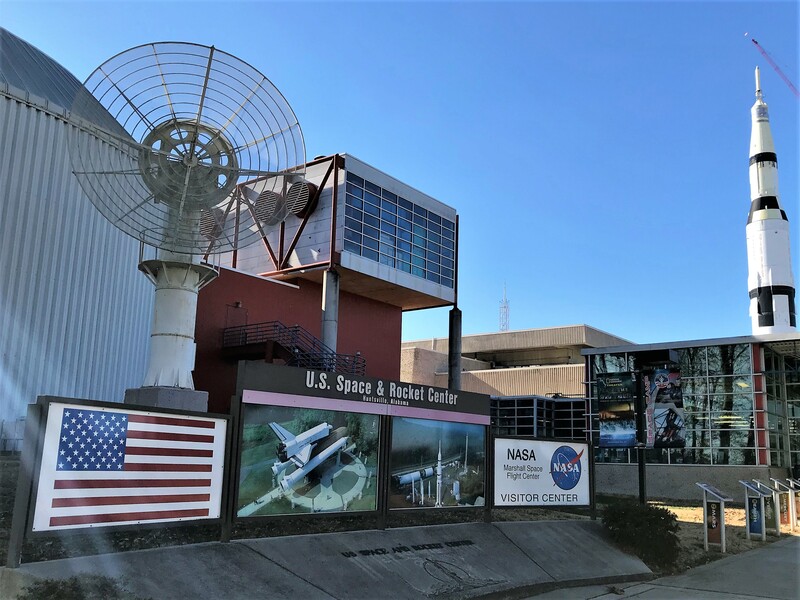 What a great day at the US Space and Rocket Center, if your travels ever find you near Huntsville, we highly recommend taking a day to spend at this premier facility. 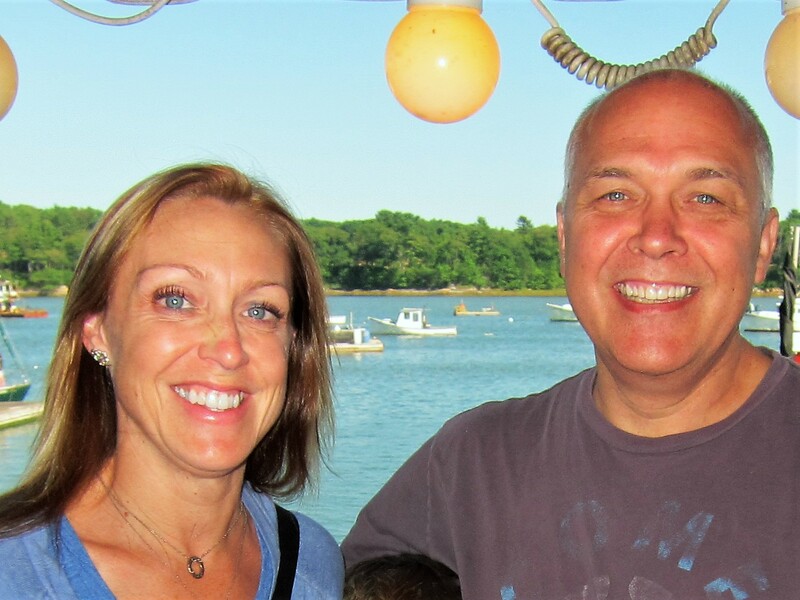 A few miles to the north is the home of Debbie, a former Vermont friend, and her husband Sam. Whenever we are in the area, Kit and I try and spend a few hours with this delightful young couple. Thanks for a making time for us! Well, that closes out week one of our 2019 Excellent Adventure…stay tuned for further exploits from the road! This entry was posted in 2019 Excellent Adventure, Uncategorized. Bookmark the permalink. 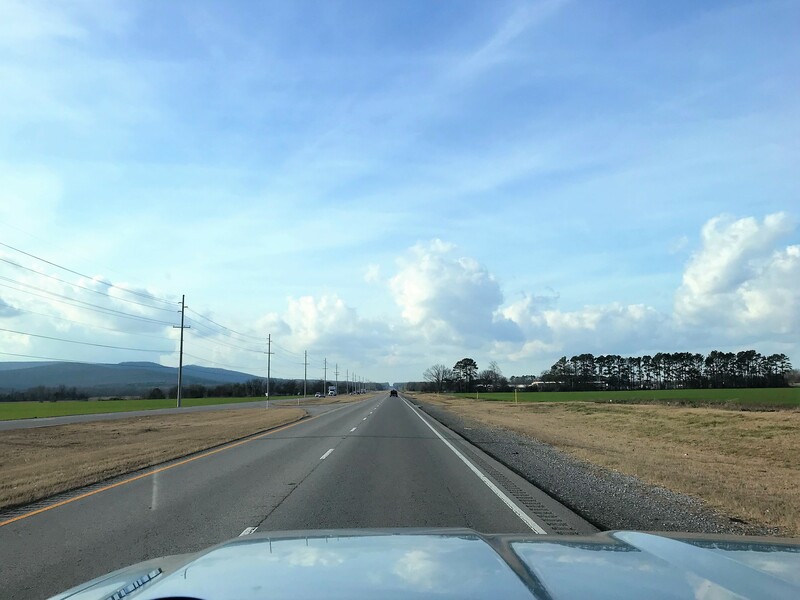 Love your road adventures….. continued safe travels! Thanks! Looking forward to seeing you at the lake this summer!! Sounds like the start of another great adventure. Yea, amongst other things…you were the only one to pick up on that statement! Kit worked hard to get that comforter cover completed before we left…I really like it and keeps us warm, which is a good thing since we’ve had some cold nights. Thanks for sharing. We love to live on the road with you. You’re welcome, we’ve enjoyed your international travel reports in the past as well! You always manage so well to find the most interesting stories and places!! I’ve never seen a TN sunset but they are equally gorgeous as the western versions! ..The US Space and Rocket Center is beyond sensational! What a place that is! 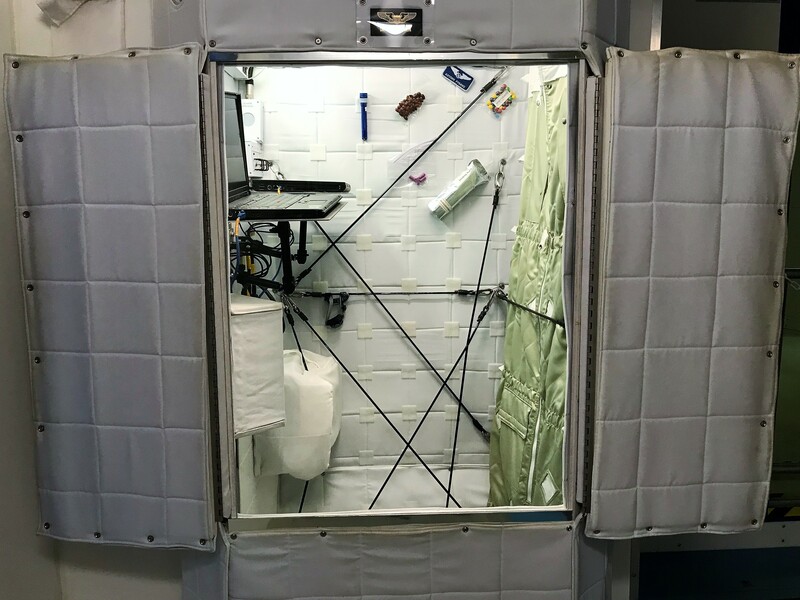 I would particularly love to see the mockup of the space station and see how they lived. I’ve always been fascinated with that aspect. …I’m sorry to hear of the sudden passing of your friend Ron..I know it is especially hard given the circumstances. He sounds like he was a very special man……I always enjoy reading the updates on your very accomplished family…they all look so happy! …..Thank you for another great journal.I always enjoy reading about your adventuresl! Kit…excellent job on that comforter cover..looks so cozy! Great to hear from you as always, and thanks for the nice comments…Kit sez hi and thanks for the compliment on the comforter cover skills. still love my vicarious travels!! Glad to hear…keep the home fires burning and thanks for the excellent job you do on the Sage newsletter. It makes us feel connected to the group while we are on the road. Hi to Charlie! Very interesting! When I was with Special Warfare Group One a MCPO, Donald Schwab, was one of the SEALSKIN to open the spacecraft. He had some very interesting stories to tell! One other little item of interest, I joined the retirement community on 28 December! Also moved to Shirley, just below Moosehead Lake, surprise, surprise. Vicky and I love it up here. My new email is included Bill. Love that quilt cover Kit made! Hey Den, thanks for your interesting story about the Seal that was on that history making evolution. Congratulations on your retirement and move into Gods country…I’ve updated your email address. Kit says hi and thanks for the nice comment on her sewing handiwork! 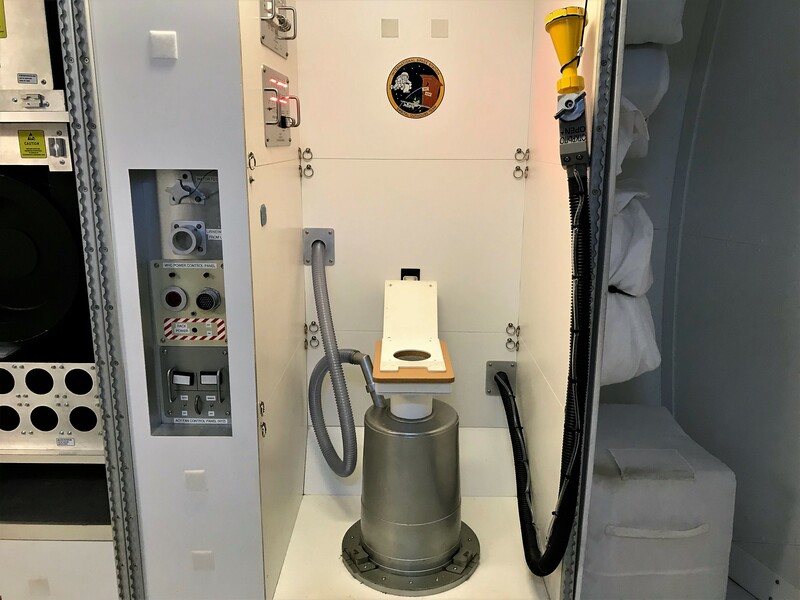 When I was with Special Warfare Group One a friend, MCPO Donald Schwab, was one of the Navy SEALS helping the astronauts exit the floating capsule. He had some interesting stories. Another note, I retired 28 Dec and Vicky and I now live in Shirley, just below Moosehead Lake. (Surprise, surprise). We both are very pleased with our new “home base”. Sold our Topsham property in two days to a very pleasant lady with cash. 😃 Welcome anytime of course! Love that quilt Kit. I need one with Maine game animals on one side and common firearm cartridges on flip side please! Next summer we’ll get together for sure. Kip and Kathy Paules will be underway for warmer climates Thursday. Us? We’re just waiting for next weeks 14″ of fresh snow!! Love you Both! P.S. Note new e-mail address! You left later than usual. Enjoy reading about your trips. We are leaving tomorrow and following your path down I81 and on to see our daughter in Milton, FL. You went too far on the first day. We are stopping at Westover ARB in Chicopee MA then to Pine Grove, PA for day two. Safe travel and will check back in to see where you are. Hi Kip, great to hear from you and safe travels on your snowbird adventure! 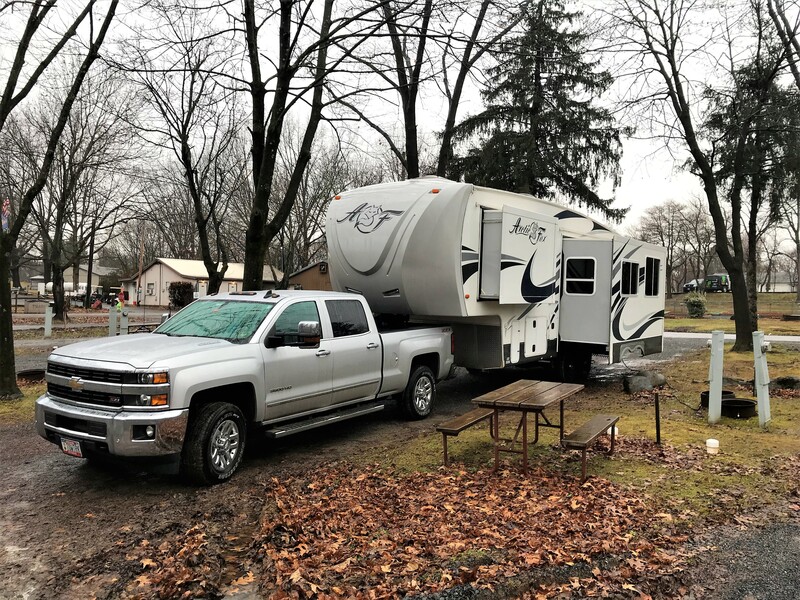 Kit would certainly agree with you…600 miles of towing a 13,000 pound RV through the congested Northeast is not a good idea…however, I just want to reach southern climes as soon as possible. Leaving at 0400 does allow us to miss much of commuter traffic near the larger cities. That being said, our standard daily miles during these trips on a travel day averages about 250. We love y’all so much! Thanks for taking the time to come see us and bringing us Maine hugs! Be safe on your journey this year! Our pleasure, it’s always fun to visit with you folks…love you as well! OOPS!! SOME HOW I GOOFED ON WRITING A COMMENT ON THIS FIRST ADVENTURE.SORRY BOUT THAT! I DID READ IT, BUT FOR SOME REASON WAS INTERRUPTED. SURE ENJOYED THE SPACE CENTER SEGMENT, I WATCHED THE MOON LANDING RIGHT HERE ON THE BAY, WELL TO BE HONEST I WATCHED A RERUN AFTER I INDULGED A MITE TO HEAVILY ON THE ROCKET FUEL AND FELL ASLEEP. KIT YOUR QUILT IS SOME BEAUTIFUL PIECE OF HANDIWORK. MANY OF THE TOWNS LADY FOLK HERE IN BOWDOINHAM ARE QUITE SKILLED IN MAKING THEM. SURE A CHILLY START TO THIS WINTERS ADVENTURE. Yep, that happens to me as well at times…I guess our generation is still trying to figure out this technological revolution. Hope all is well with you folks, Kit says thanks for the nice comment on her quilt making.